Another tried & true recipe of mine that I can whip up in 5 minutes. 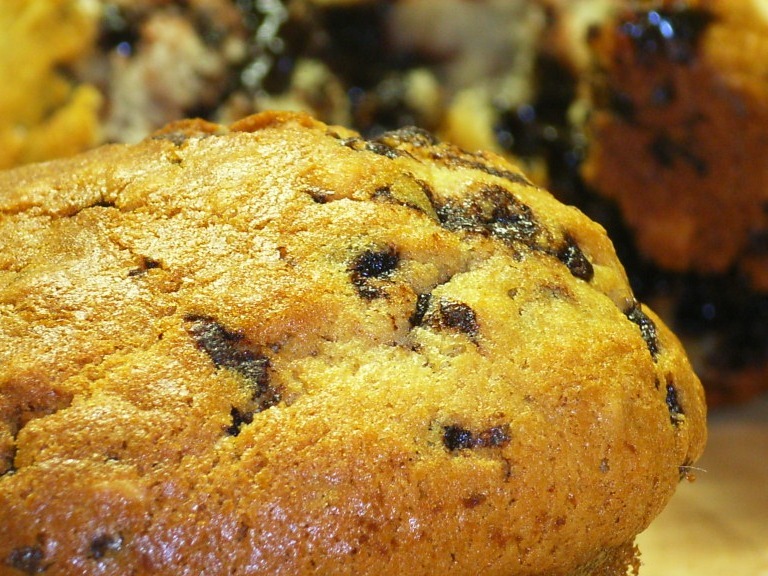 Preheat oven to 180 degrees Celsius, and grease muffin pans (alternately, use paper cup cake pans). Put all ingredients except the last two into a bowl & beat together for a few minutes until well combined. Stir through chocolate chips and crushed nuts. 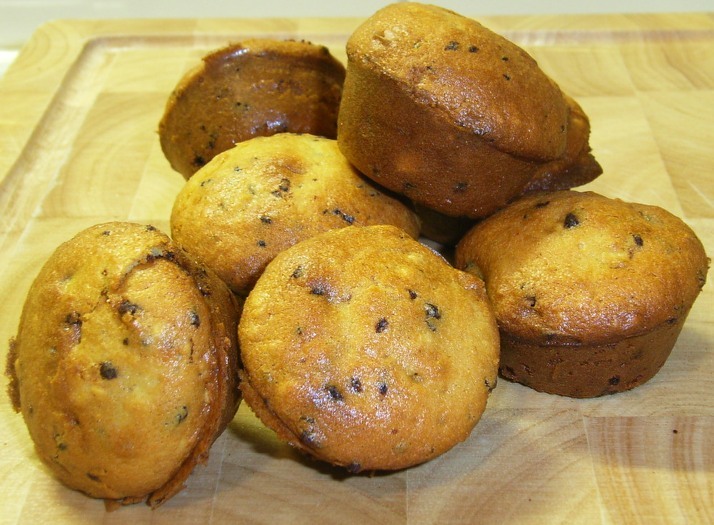 Fill muffin pans 2/3 full, and bake for about 20 minutes, or until the top of the muffin springs back when pressed. This recipe can be adapted in many ways. Instead of chocolate & nuts, use pears & cinnamon, or raspberries & white chocolate, or leave out the sugar & add becon & cheese. The possibilities are endless! This entry was posted on October 4, 2008 at 9:32 pm and is filed under Cakes. You can follow any responses to this entry through the RSS 2.0 feed. You can leave a response, or trackback from your own site.